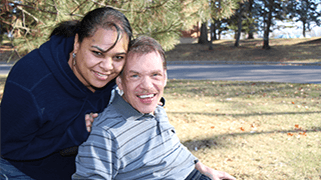 Founded in 1987, REM Ohio serves individuals with intellectual and developmental disabilities through a range of individualized programs including Residential Services, Day Programs, Supported Employment Services and a flexible Host Home program. By providing a wide range of service options and adapting those services as the needs of the individual change, REM Ohio ensures a quality experience for each person we support and their families as well as their community partners and funding sources. REM Ohio is a partner of The MENTOR Network, a national network of local human services providers offering quality, community-based services to adults and children with intellectual and developmental disabilities, brain and spinal cord injuries and other catastrophic injuries and illnesses, and to youth with emotional, behavioral and medically complex challenges as well as their families. With opportunities from coast to coast, when you join REM Ohio and The MENTOR Network, you’ll make a difference every day and help to provide quality of life enhancing services to individuals across the country. Under the direction of an Area Director or Regional Director, lead the day-to-day operations for program(s) providing services to individuals with Intellectual and Developmental Disabilities within a community or small geographic area. Oversee the operations of each site, including program management; financial management; property management; staff supervision and development; and maintaining individual, family, and community relations. Ensure safety and quality of services and compliance with regulatory requirements. Collaborate with Program Coordinator and Human Resources to hire, train, schedule, and manage staff, and to create and maintain a positive work environment for all employees. Oversee operations of one to four programs with 10 to 25 individuals in a community or small geographic area with combined revenues of approximately $1 to $3 million. Manage program implementation of health and safety programs for individuals receiving services and employees. Oversee program quality enhancement and develop individual program plans; coordinate Network standards, licensing requirements and individuals supported needs; review and submit incident reports. 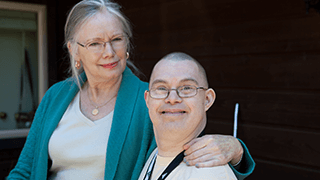 Establish and manage relations with individuals receiving services, families and guardians; implement individual enhancement plans as appropriate. Provide leadership including direct supervision of assigned staff; implement Network employee practices; implement program safety and workers’ compensation programs; recommend and assist with involuntary terminations and written warnings; provide employee orientation and training. Implement program core growth strategy to maintain or increase census, maximize utilization and occupancy percentages and assist with new start development as appropriate. Maintain and foster relations with case managers and referral agents; lobby on behalf of individuals receiving services. Responsible for the financial performance of individual programs; complete purchasing of program supplies; and review and submit billing compliance documentation. Implement program incident management protocols; ensure timely incident reporting and implementation of corrective action. Maintain program compliance with Network and regulatory standards for clean, neat, safe living and working environments. Ensure pleasant, age-appropriate, well-decorated home-like residential living environments; and address any maintenance needs of residence and property. Maintain licensing and compliance for program services and supports; ensure timely and accurate program documentation; implement Network compliance plan; review correction orders; and implement compliance plans. Direct and supervise staff including performance evaluations, scheduling, orientation, and training. Make decisions on employee hires, transfers, promotions, salary changes, discipline, terminations, and similar actions. Work closely with HR to address and resolve employee relations and performance issues. Demonstrated ability in areas of leadership, personnel, employee training, and public relations. Skilled in written and oral communication, community relations and service development. Demonstrated knowledge and understanding of behavior management principles, program development, and monitoring techniques. Valid driver’s license and driving record that meets insurability requirements as defined by the Company’s insurance carrier. REM Ohio is a partner of The MENTOR Network, a national network of local human services providers offering quality, community-based services. With ~30,000 employees serving ~30,000 individuals in 36 states, you'll have career opportunities from coast to coast. When you join The MENTOR Network, you’ll make a difference every day and help to provide quality of life enhancing services to individuals across the country.